Feel like you’ve seen a lot of rain this summer? You’re not mistaken. In many regions, thunderstorms are more frequent this time of year, and they can bring lasting damage that goes beyond mud puddles and beat-up begonias. The torrential rains can cause heavy stormwater flows, and for communities and businesses that don’t have stormwater best management practices (BMPs) in place, that can mean big messes. As rain falls over streets, roofs, lawns, industrial areas, and construction sites, the hazardous materials it comes in contact with become part of the runoff. This is especially dangerous when heavy rain or flooding occurs near manufacturing sites or other areas where chemicals are present; without water spill containment devices in place, dangerous chemicals and sewage from flooded or backed-up drains can make their way into the public water system. During this stormy season, we’re reminded that preparation is a key element of any comprehensive stormwater management strategy. Proactive strategies can include changing landscaping, creating ponds, and spreading or redirecting runoff flow, along with other BMPs. • Drain plug: These are used to block floor drains before or right after a spill occurs. The plug seals off the drain and prevents the fluid (which can contain hazardous materials) from entering the water supply. • Drain cover: This product also seals off drains, forming a tight seal to keep water and chemicals out. The polyurethane drain cover that’s available from AbsorbentsOnline.com is reversible, reusable, and resistant to many chemicals. • Drain insert: This device fits over drain catch basins and prevents stormwater pollution by filtering out coarse sediments, oil, grease, litter, and debris. It’s particularly beneficial in parking lots and other areas where vehicles leave grease and oil residue. • Spill containment berm dike: These berms are comprised of non-absorbent, reusable sections of flexible polyurethane. When put together, the berm dike forms a barrier that traps or diverts fluids away from drains and keeps it from spreading. • Oil skimmer: This proactive tool is a must-have addition to your stormwater management kit. It’s used to remove oil that stormwater has washed into a catch basin or storm drain. It floats on the surface of the water, continuously absorbing the unwanted oil. Don’t wait for a heavy storm to hit! Make sure you have the right stormwater management products on hand, and you’ll be ready to keep contaminated water spills under control any time. There are several advantages to creating a green, environmentally friendly workplace: it reduces overhead costs, boosts employee morale, and it opens the doors to an entirely new client audience. There’s a growing trend with consumers only purchasing products and services from environmentally friendly companies; therefore, going green in your workplace could attract new customers and ultimately more sales. 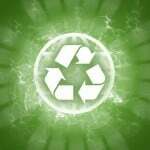 You don’t have to far to find big name companies who take a green approach to their business. Coca-Cola’s World of Coke received a gold rating by the U.S. Green Building Council (USGBC) for its water efficiency, energy efficiency, and the use of recycled materials. 20% of the building is made from recycle or easily renewable materials, such as bamboo and recycled rubber. 90% of the debris and waste left behind from the World of Coke’s construction was salvaged or recycled. Features a reflective roof to reduce heat. Improved air quality through low VOC pain and carpeting. 30% more energy efficient Georgia state law mandates. All faucets feature low-flow technology to reduce unnecessary water output. Of course, Coca-Cola is just one of the many companies taking a proactive approach towards their energy usage and the impact they have on the environment. There are hundreds of other companies out there following in their footsteps. And with more and more consumers looking to spend their money on products from green companies, this is a trend that will likely continue in the years to come. If you’re looking to create a greener workplace, you should first perform an energy audit. Find out exactly how much water, electricity and gas you are using. Most company owners simply cut a check to the utility companies without analyzing their energy usage. Unless you know how much energy your workplace uses each and every month, you can expect to make any major improvements. It’s not a bad idea to make a note of your workplace’s energy usage each month, as this will give you an idea of whether you are using more or less the following month. Upgrade your lighting to energy-efficient bulbs such as LED, HPS or HID. Bring in natural lighting through windows and sun roofs. 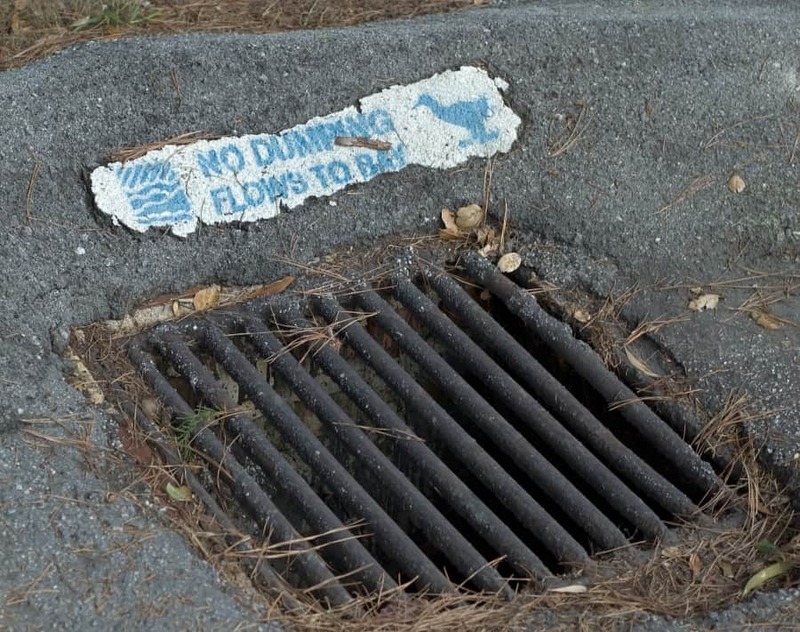 Cover drains to prevent unwanted chemical runoff in storm water systems. Install low-flow faucets and high-efficiency (HE) toilets. Encourage the use of recycled material. Drain Covers: Are They Really Necessary? [sc:date] It’s a common assumption among industrial businesses that drain covers are more of a ‘luxury’ rather than an actual requirement. After all, what’s the point of covering your drains if there’s no reservoir, river or other body of water nearby? It’s this type of mentality, however, that leaves businesses vulnerable to EPA fines and even prosecution in instances of severe violations. 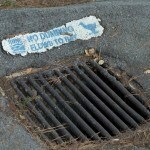 To learn more about drain covers and why they are necessary, keep reading. The sole purpose of a drain cover is to prevent environmental contamination. You have to realize that any chemicals which travel down the drain end up somewhere — usually in the closest body of water. 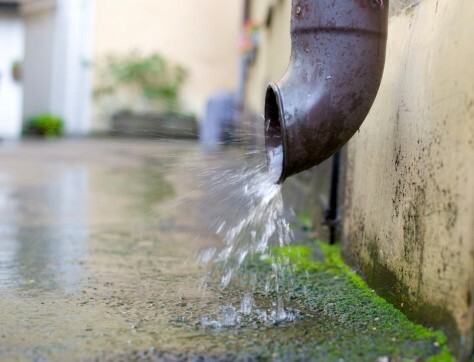 Rainwater is typically carried through the drains to the nearest body of water, but unfortunately chemicals can also make their way down the drain. Taking the time to cover your drain is a simple way to prevent environmental contamination from chemicals used by your business. Chemicals flowing down the drain is a direct threat to both the environment and residents living nearby. If the drain runs into the town’s water source, the water may become tainted from the chemicals. There have been several instances where entire cities have fallen ill to chemical runoffs in the tap water. It’s up to companies to take the initiative to cover their drains in order to prevent instances such as this from occurring. If you still needed another reason to use drain covers in your business, here’s one: they’ll protect you from fines. The EPA is known to fine businesses that negligently overlook chemical runoff in nearby drains. Some businesses view this as a nuisance, but it’s necessary to protect the environment as well as the public. You might be surprised at just how easy and simple drain covers are to use. While they come in a variety of sizes and styles, most models are designed in a mat-like fashion that sits directly over the drain. The professional-grade drain covers offered here at AbsorbentsOnline.com feature a polyurethane construction for optimal strength, durability and protection. Come in a wide variety of sizes.